It only comes once a year, National Peanut Butter and Jelly Day! 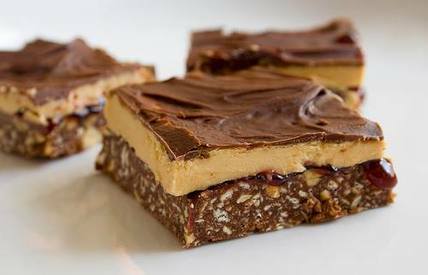 How about a Peanut Butter & Jelly Chocolate Bar? I don’t think that these are quite a fancy enough treat to be served at a dinner party but they’re perfect for kids or a sweet afternoon snack. And they definitely take the classic PB&J combination beyond the walls of white bread.